The high-resolution images taken by the Hubble Space Telescope for the Frontier Fields survey have yielded a treasure trove of insights into very distant galaxy clusters. In addition to providing astronomers with unparalleled views of galaxies that Hubble would not otherwise be able to see, the high-resolution images are providing views of distant corners of the universe that are similar to the famous Hubble Deep Fields. To help you use and navigate the viewer, we’ve created a short video to help familiarize you with the interface and controls. 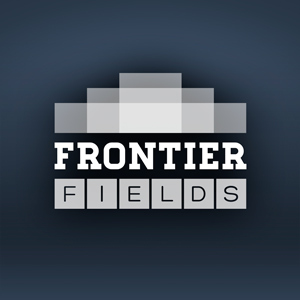 Over time, we’ll be adding more of the Frontier Fields clusters, so be sure to check back for updates. For more information about Abell 2744, check out the “Meet the Frontier Fields” section of this blog. For more information about how Hubble is simultaneously observing the galaxy cluster fields and parallel fields, check out this post. For more information on measuring cosmological distances and redshift, check out this Q&A post. Wow! This Abell interactive explorer is magnificent. Thank you so much for this tool. For me, the thrill of the gravitational lens & it’s wonderful results is beyond description. The distances involved …., the unimaginable gulfs of time and space….., the mind boggling processes at work in and around such cluster warps, all fill me with an almost child like sense of wonder. I am not the brightest spark, but you have kindly made this interactive explorer relatively simple enough that even I can use it! I really can’t wait to see what other additions will come in the future. But for now I shall satisfy myself here in Abell 2744, lost in the heady joys of space and time. Congratulations on the great work all involved. Many blessings from the UK.